CNX streamlines site identification, acquisition, and transactions necessary for expansion of fiber, fixed wireless, and mobile broadband services. CNX aggregates and maps assets necessary for the expansion and improvement of broadband services. The company’s interactive map is the nation’s most comprehensive source of broadband market data and supports an asset exchange dedicated to network building transactions. For the last 4 years, we have worked with teams and brands and after hearing the same issues pop up time and again – wasted promotions, low attendance to events, brand awareness and an overall lack of fan data – we decided to do something about it.SuperFanU was born from necessity. We saw teams and brands struggling to connect with their fans, wasting money on expensive promotions and t-shirt giveaways, never getting anything in return. With this program, we’ve given the power back to the teams and brands. You can make fans earn their prizes while still incentivizing them to attend events, and lower your promotional costs. You can get fan data handed to you by the fans themselves, and find out what sports they’re most likely to attend. ALKYMOS is developing a filter to remove aluminum, a toxic contaminant, from calcium gluconate solutions used in the preparation of parenteral nutrition (intravenous feeding). A publication describing the filter appears in the Journal of Pediatric Pharmacology and Therapeutics 2014; 19(3):189–195. NX Prenatal’s NeXosomeTM Preterm Birth Assay is positioned to be the world’s first early warning system for pregnancies that may result in spontaneous preterm birth. Our exosome-based approach has unlocked a new library of biomarkers for prenatal risk assessment as early as 15 weeks gestation. This may provide physicians an ideal opportunity to intervene in a timely manner with protocols for at-risk pregnancies in an attempt to reduce the likelihood of a preterm birth or minimize the complications that can arise for both the child and the mother. The Dental Exchange is the premier online resource and social network for dental professionals. Designed from the ground up, the Dental Exchange ignites creativity, innovation, helps you grow your practice, manage your continuing education courses and discover new career opportunities. Our company has invented a mobile 3.0 technology using ibeacon technology inside of fitness centers, providing automatic data tracking on member’s smart phone. We are a SaaS company with current revenues of $500k annually. We attack an $8 billion retention problem with a customer base who has validated our business model. We have a first mover advantage with paying customers. Our Long Term Value to Customer Acquisition costs ratio is 14:1. 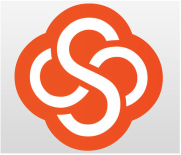 Scante builds rapidly deployed Internet of Things and Customer Experience apps for parts, services, and customer support. Other companies focus on communications and cloud data access, while we're building out tools that provide bottom line impact. Our focus is support content, parts/services, customer retention and marketing. We target highly underserved cos in the Mid-West and Mid-South. Founders have decades in software start-ups and IoT. Edumedics delivers technology-enabled health care to people with chronic conditions--the cost outliers in every group. We improve health and in-turn save costs. Wyzerr builds forms for data collection that look and feel like games. Our first product, the Wyzerr Smart Form, is an alternative option for customer feedback surveys. It's more consistent with the digital age of today: fun, fast, and easy. Wyzerr Smart Forms can capture responses to 25 questions in under 60 seconds, and uses machine learning to generate new questions based on each previous response. Back for their second round of fundraising with the Kentucky Angels is SuperFanU Inc.
SuperFanU, Inc is a mobile technology platform that increases fan and student engagement by rewarding attendance, participation and loyalty for attending ALL of the events associated with a high school, college or professional sports franchise. Fan Engagement is a billion-dollar industry that allows teams to connect to fans like never before and for fans to be recognized and participate in unique experiences that last a lifetime! A major reason for drug development failures is that human specific toxicity is missed in traditionally used pre-clinical cell lines (in vitro testing) and animal models (in vivo testing). Hera has the unique ability to create more predictive animal and cellular models, and is pursuing a two pronged, in vivo and in vitro, strategy. 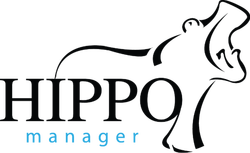 Hippo Manager Software, Inc. provides veterinary practice management software as a service. We improve veterinary practices operations through innovations in: financial management, medical records, DICOM imaging, inventory management, appointment scheduler, reminders, analytics and more. We increase practice profitability through reducing administrative overhead, improved reporting and reducing missed charges. CompleteSet is an online marketplace that helps collectors track, buy, and sell collectibles from a single app. By building a marketplace on top of a structured database of collectibles, we've transformed the tedious process of cataloging and transacting into a frictionless experience for collectors. CompleteSet earns a commission on every transaction. Virtual Peaker - With adoption of renewable energy growing rapidly, utilities need a clean and inexpensive approach to balancing the grid. Virtual Peaker provides a software platform to help electric utilities intelligently manage their residential electric demand and balance the grid in a carbon free way. It applies machine learning and real-time control to internet-enabled appliances to reduce demand while minimizing negative impact to the residential customer. Space Tango - We design, build, and operate integrated systems that facilitate microgravity research and manufacturing focused for application on Earth. Space Tango allows users to focus on their work while we manage the complexities of traveling to and operating in microgravity. We are committed to the standardization of processes to provide a seamless experience. We strive to diversify the use of microgravity as we invite industries of any kind to reach beyond in hope of improving life on Earth. 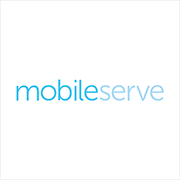 mobileserve - MobileServe makes tracking and verifying service hours easy, so no more paper check-ins, trying to remember dates and hours, or compiling group information–which means you have more time, better records, and less frustration. HummingbirdNano - Our technology sparks the ability to create new products that can't be made using current state of the art methods. We also make today's high priced products more affordable, so that they become more commonplace, spur innovation and give back to society. Hummingbird Nano's technology is revolutionizing how specific products are manufactured for end use. Initial applications are focused on small parts such as microfluidic chips and micro-optics. Podchaser - We're building Podchaser to be your go-to podcast database and discovery tool. Our goal is to make it easy for you to provide feedback about the podcasts you love and easily discover podcasts you'll soon love. For podcasts you're already listening to, Podchaser allows you to leave ratings, reviews, and tags for both the podcasts and their individual episodes. You can check out other users' feedback and compare your show impressions with other people's reviews. Meta Construction Technologies - a Kentucky-based construction technology company focused on transforming the heavy highway industry with innovative software solutions. 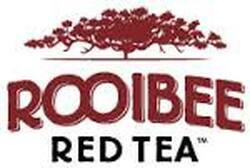 The company originated in the University of Louisville Entrepreneurship MBA program in 2016. HealthTech Solutions - ​a Health-IT SaaS c-corporation that is initially serving Organ Transplant Centers and Organ Procurement Organizations. They have developed a secure mobile messaging and workflow app that simplifies clinician-to-clinician communication. MyNurse - ​Provides healthcare services in patients' residences performing domestic and healthcare tasks, such as transporting and/or accompanying patients to doctors' offices. MEP Equine Solutions - Formed to develop and commercialize on-site diagnostic tools for animals. HealthTech Solutions - ​a Health-IT corporation that is initially serving Organ Transplant Centers and Organ Procurement Organizations. They have developed a secure mobile messaging and workflow app that simplifies clinician-to-clinician communication. By using unique and patented combinations of negative and positive air pressures, Gryphon has made it possible to use mass transfer and heat transfer to remove water from a suspension. The result is efficient and low-cost drying technology that makes it possible to use sludge wastes as biomass fuel without spending more power to process the material than the returned energy it can produce. Our technology consists of a continuous belt drive system that separates gaseous, liquid and solid components. This process filters, and dries large volumes of sludge to 50-90% solids in minutes. The Construction Labor Market Analyzer® is designed to help you manage risk, reduce contingency and save money on the labor component of projects. It does this by mitigating the inefficiency, inconsistency and unreliability that characterize usual forecasting efforts. The CLMA® provides reliable, actionable, real-time labor scenarios and periodic labor market intelligence reports that are more detailed than any similar product currently available in the United States. The CLMA® collects capital and maintenance project demand information and craft labor supply data directly from the source and makes it available to industry stakeholders in a confidential way to improve how we understand and respond to critical workforce pressures. Healthcare Asset Network is the easiest and most trusted way for your organization to buy and sell healthcare products at the best value. Link to our network and sell your excess inventory, converted products and underutilized assets to other members on the network. We find the buyer, and we help you get the highest dollar for your goods. We match your product wish list within our member network and deliver the opportunity buys directly to your inbox. You can save up to 50% off your contract price on products you buy everyday. Hera Testing Laboratories, Inc. “Hera” is a preclinical drug development services company focused on in vitro and in vivo toxicology, ADME and PK studies and well as genetic testing. Hera will utilize genome engineering technologies developed and licensed from Transposagen in stem cells and other cell types to create improved preclinical drug development products and services. Collabra is an online platform used by music students, instructors, and professionals to Educate & Collaborate at middle schools, high-schools, colleges, faith-based organizations, private teaching studios, and more. Collabra has launched or is prepared to launch pilots at 40+ schools for our subscription based service and continues to see exponential growth in our pipeline. Blue222 is an online service that solves cash flow problems for independent contractors. Through the Blue222.com website, a contractor can invoice their customers and outsource all of their their accounts receivable management to Blue222. For a fee, the contractor also can receive advance payments on their invoices. In addition, search tools on the website allow the contractor to connect with new customers and gain more business. Since 2013, Revio has successfully pioneered and distributed a full line of electronic safety products for the Power Sports industry. We are now active in extending our market with a telematics data platform that deploys connected devices to further make power sports safe and secure. We provide precision irrigation monitoring and control solutions to the agricultural community. Energy and labor costs are rising, ground water is being depleted and farmers are facing increasing pressure to do more with less while reducing their environmental impact. Our system is a “farmer owned” large area wireless network to link remotely located well pumps and soil monitoring probes, unlike currently available 3G/4G solutions. Sunstrand is the only Value Added Bio-Material supplier & processor for domestic polymer composites. With grants, we have developed a proprietary line of reinforcements from bamboo. This technology is applied to hemp, kenaf, flax and jute. Sunstrand will supply and toll process these materials at our facility in Louisville. The attractive materials, often procured by KY farmers, offer enormous potential to decrease weight & green-up plastics. ​Switcher Studio-We believe that the creation of high quality video will be increasingly important for any content provider, business, or consumer to be able to generate awareness and audience online. Liberate Medical-We research, develop and commercialize novel non-invasive devices to reduce the cost and improve the quality of care for patients with pulmonary disorders. Our first product, VentFree, anticipated to launch in Q3 2017 in the EU, uses respiratory muscle stimulation and is intended to reduce the amount of time patients spend on mechanical ventilation (MV). PowerTech Water has developed an inverted Capacitive De-Ionization (i-CDI) water treatment technology that removes total dissolved solids, including salts, minerals, and metals, with reduced energy, cost, waste, and chemicals used compared to other processes. The PTW i-CDI process will compete with membrane separation processes for deionization such as reverse osmosis and nanofiltration, which are energy intensive and sensitive to fouling. The goal of 451 Tech is to be the premier program in specialized fields of medicine. These specialized fields consist of small private practices that have been overlooked by the larger corporations. This software will be able to handle all the billing, scheduling, ordering, and management of patient information. The value prop will be a user friendly platform that will also minimize billing errors. This will save approx 15-30 minutes per day. Xooker - Stretch your marketing budget. Acquire new customers, and keep and engage with the best ones for profitable repeat business. Xooker makes your marketing more powerful by delivering your message to consumers who want it. Increase your bottom line at no risk to you. Xooker is the one-stop, multi-touch, direct-to-consumer, rewards-based marketing platform. Cloverleaf is a comprehensive personal and team development tool. That means we're not just a survey and personality test. Focus on the context of what needs to get done, and align your people to that goal. When you know who each person is, and how they interact with everyone else, you can make the right decisions for your team. PREVENT SCRIPTS - We are on a mission to partner with like-minded providers to end lifestyle disease for their patient populations at the earliest inflection point, the primary prevention of disease in the at risk. We are calling for a renaissance of Primary Prevention in the new value-based era of care enabling providers to get back to the reason they went into medicine in the first patients, to help patients. Schedule It - Scheduling solutions for insurance companies, independent adjusting (IA) firms, and adjusters. LullaFeed - a pediatric-focused device company that solves early medical and developmental issues in infants and children, preventing long-term and more complex problems. AVAIL, Llc - ​provides freedom over your existing Windows File System where file retrieval can be frustrating. SuperFanU - ​provides freedom over your existing Windows File System where file retrieval can be frustrating. 3DLT is a 3D Printing template marketplace. We partner with independent designers who create the 3D printable files we offer on our website. Consumers like you can purchase these files, download them, and print them on your own 3D printer. Don’t have a 3D printer but love our designs? No worries, because here at 3DLT you can also purchase real 3D printed products. Once you buy a file, you can print it through our partner network of over five hundred 3D printers. You can even choose to have your printed product shipped, or pick it up from the 3D printer closest to you. Credit Fair-E is a licensed lender that provides fair, affordable installment loans up to $500.